Streaming service Epix has spent the last few years getting serious about its exclusive content and originals, but no streaming service can truly play in the big leagues without a buzzy documentary series that sheds new light on an old, possibly familiar story. Netflix had Making A Murderer, and now Epix is getting Slow Burn, a documentary series (or “docuseries”) based on Slate’s podcast of the same name. 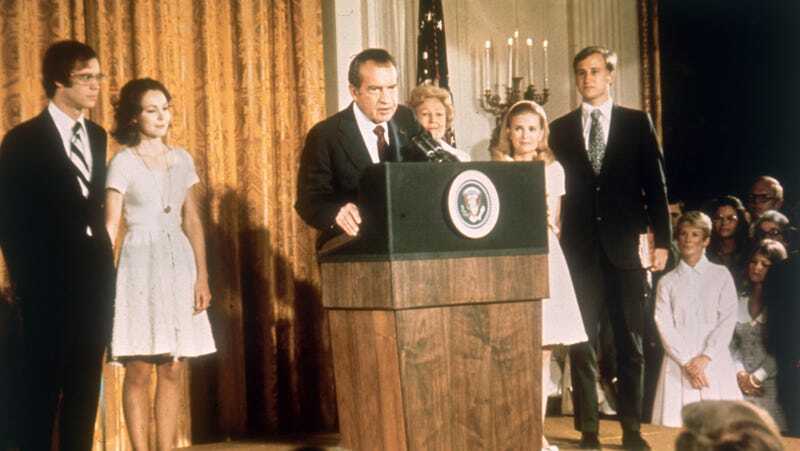 As announced in a press release, Epix’s version will be a six-episode miniseries that explores the “strange subplots and forgotten characters involved in the downfall of a president”—specifically Richard Nixon in the show’s first season (mirroring the first season of the podcast). The show will be hosted and executive produced by Slow Burn podcast creator Leon Neyfakh. If the show is a hit, a second season will presumably follow the podcast with an exploration of the scandals that followed Bill Clinton, and if the show goes long enough, maybe we’ll get a season about some other president who may or may not get brought down in the time between now and then.